Our new virtual broker for Poole, Portland and the wider Dorset area will be Kevin MacDonald. With no ties to a physical office, Kevin will be fully mobile and is able to serve vendors and buyers wherever they are located in the Purbeck area. He will also be contactable 24/7, making communications easier for those who can’t contact an office location during our main operating hours. With Poole Harbour and the Jurassic Coast a UK hot spot for all manner of cruising and racing sailboats and motor yachts, there is plenty of opportunity for vendors to reach a varied market of buyers. And for those looking to buy a vessel, there is lots of choice on offer and Kevin has fantastic local knowledge and boating expertise to help you find the best match for your requirements. 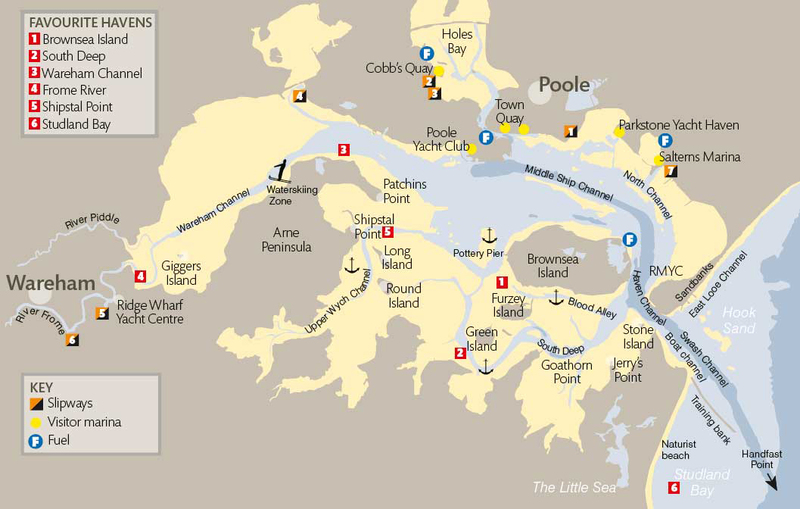 Poole Harbour is a large natural harbour with a narrow entrance and shallow waters. 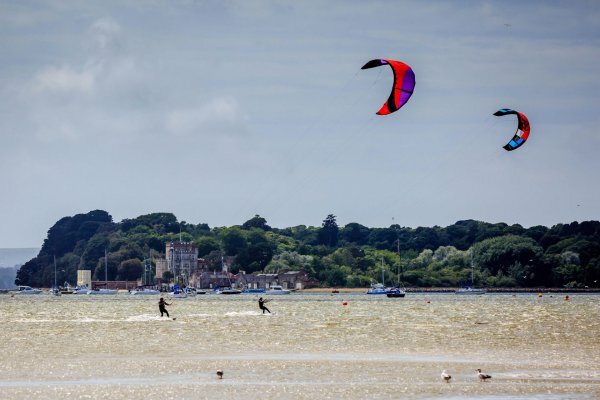 Well protected, it is a watersports mecca, with yachtsmen, kitesurfers, windsurfers, kayakers and paddle boarders all enjoying its maritime splendour. 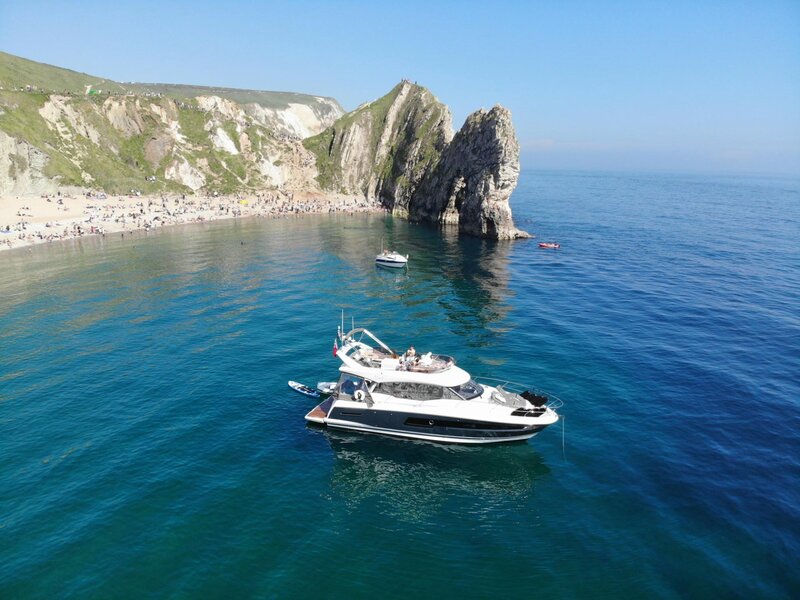 With a pleasant microclimate and some of the warmest seas in the UK, as well as a large variety of wildlife, it’s no wonder it is a hot spot for leisurely cruising, and yacht racing alike. 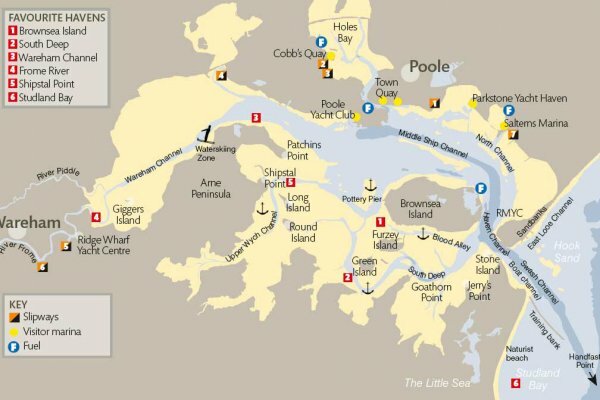 Located in the centre of Poole Harbour, Brownsea is the largest of the harbour’s five islands. A National Trust nature reserve, this spectacular island offers a unique haven for wildlife and is even home to the rare red squirrel. The main anchorage point can be found off Pottery Pier to the west of the island. For shallow draft vessels, quieter anchorages can be found to the south at Blood Alley Lake and Whiteground Lake. From here, take a dinghy to explore more remote harbour inlets or take a walk around the island via the National Trust’s forest trails. Wonderfully sheltered and tucked away behind Long Island, Shipstal Point is nestled up a little creek just off the Arne Peninsula. The water is shallow here and space minimal, so access is generally limited to smaller vessels. As such, this is a calm and tranquil spot in which you can, quite easily, have only the myriad of birds and wildlife of the RSPB Arne Nature Reserve for company. Shipstal Beach offers a small stretch of sand and shingle, and from here you can access paths leading you through ancient woodland and heathland to Arne village. Views of the Purbeck Hills, Poole Harbour and the nearby islands create a stunning backdrop to this little secluded gem. A magnificent, naturally formed circular bay, Lulworth Cove is renowned for its breathtaking scenery, turquoise sea, unique rock formations and a diverse array of flora and fauna. The shallow water warms in the summer to make it the perfect place for a spot of swimming, or you can just sit back, relax and enjoy the wonderful view of towering chalk cliffs topped with lush green fields and wild flowers. Best visited out of season, Lulworth Cove can get a bit crowded, but it’s worth a sighting, even if you don’t anchor. Just west of Lulworth Cove you’ll find the small open bay of Durdle Door. Durdle Door, one of the Jurassic Coast’s most famous landmarks, is an iconic sea arch, eroded out of the cliff-face. On a fair weather day and outside of tourist season, this is a lovely anchorage for a day visit and the turquoise blue waters are beautifully clear. You may also want to explore near-by Man O’War Bay which has a pretty shingle beach. Seven nautical miles from Poole Quay, the historic Georgian town of Wareham is a pretty little market town tucked away on the banks of the meandering River Frome. 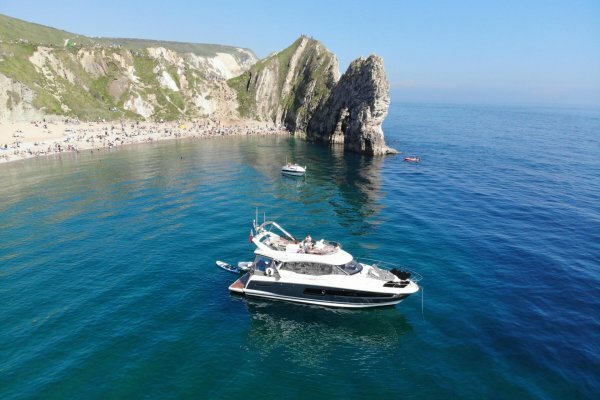 Some navigational care is required due to shallow waters, but boats with a small draft will benefit from a lovely river cruise passing through beautiful Dorset countryside. In Wareham itself you will find a good selection of shops, bars and restaurants, or if you fancy an extra special treat, book yourself into the Priory Hotel for lunch or afternoon tea on the riverside terrace. Having just been named one of ‘Britain’s 40 Best Beaches’ by The Telegraph, Studland Bay is a very popular destination for sun worshipers, water sports enthusiasts and yachtsmen alike. Four miles of white sandy beaches stretch around the bay, tucked away from the hustle and bustle of everyday life. At one end of the bay, Handfast Point offers a magnificent display of chalk formations including Old Harry Rocks and The Pinnacles - pass them by on a clear sunny day and you’ll see them glistening against the sapphire blue sea and sky from miles around. Portland is a tiny limestone island spanning just 4 miles long and 1.7 miles wide. 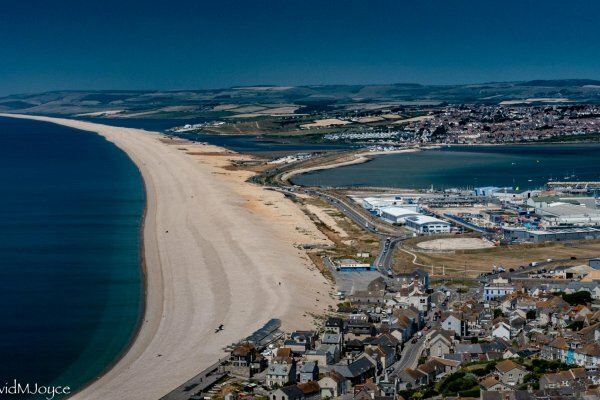 Connected to the mainland by a slither of shingle called Chesil Beach, Portland is a unique, unspoiled haven for visiting yachtsmen. Having been quarried for many centuries to provide limestone to the UK’s building industry, The Isle of Portland is now home to a wide variety of flora and fauna and Sites of Specific Scientific Interest. Take in all of the popular sights via the 13 mile walk around the island featuring Portland Castle, a Henrecian fort, Church Ope Cove, Portland Bill Lighthouse and some spectacular views into Lyme Bay. Dean and Reddyhoff’s Portland Marina is a full service boating facility with over 400 annual and visitor berths, superyacht berth, dry stack, fuel dock, restaurants and a well equipped boatyard with a 50 ton hoist and a variety of marine repair and maintenance trades on site. The marina welcomes visitors; whether you are just staying for a few hours or want an overnight berth, they are happy to help. 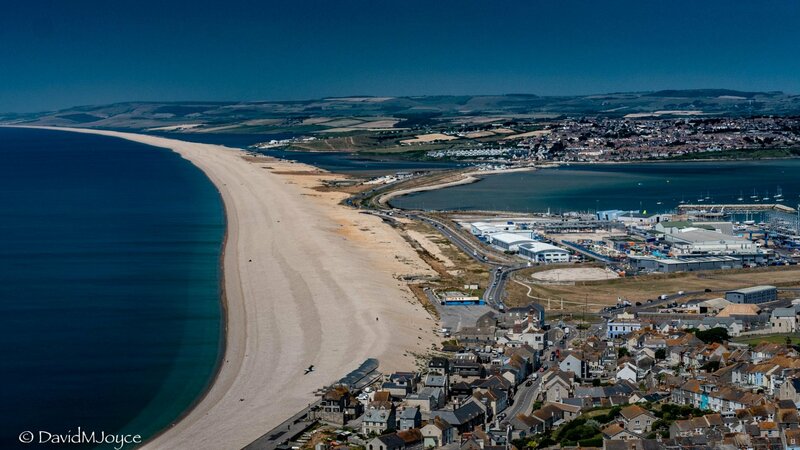 Chesil Beach is a 29 km shingle beach that stretches between the Isle of Portland and the mainland. It is one of only three shingle structures in the UK and is a pretty unique sight. On one side of the beach, an area of shallow water called Fleet Lagoon means that the beach is separated from the land for much of its length. Many areas of the beach and lagoon are protected wildlife sanctuaries but there is plenty of space to take a walk along this wonderous natural barrier and enjoy the magnificent views on either side of its banks. Why list or buy your boat with Ancasta? The Ancasta Sales Team have a wealth of yacht sales know-how, as well as plenty of firsthand boating experience. The team are very knowledgeable about a variety of vessels, both sail and power, so they are well placed to help both buyers and vendors through the sales process. Most of our offices are open Monday to Saturday, including Bank Holidays, and on Sundays via prior appointment. So, if you are looking for your next boat, drop in at any time to get information on our listings and to discuss your requirements with our experienced and knowledgeable sales staff. Listing your boat with Ancasta gives you access to active buyers across the whole of the international Ancasta brokerage network including 16 brokerage offices, over 45 experienced sales people and the popular Ancasta brokerage website. Our staff will be only too happy to greet you in their office and discuss your yacht search or brokerage requirements, so pop in to say hello if you’re in the area or contact them directly to arrange a meeting.